The DC Designer Series statue line is born from the imaginative vision of the comics industry's top artists. 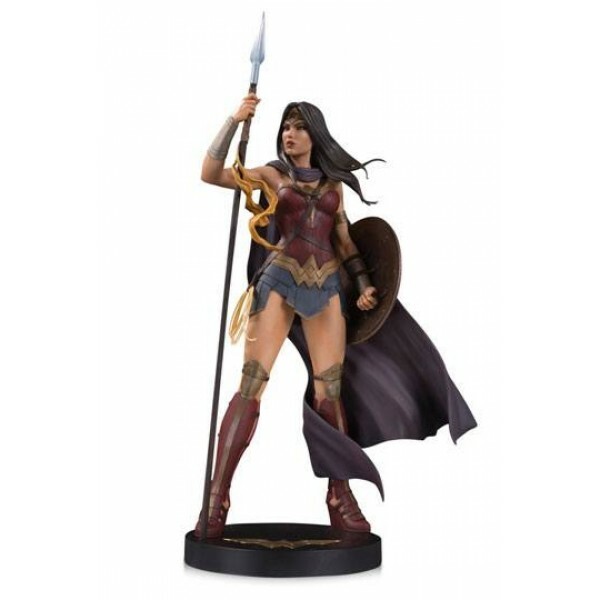 This statue, taken from a celebrated, Jenny Frison-illustrated cover from the Rebirth era of the Wonder Woman comics series, takes Frison's vision and expands it into three dimensions for a stunning and highly detailed showpiece. Cast in polyresin, the statue captures a Wonder Woman who is prepared for battle, armed with her shield, an Amazonian spear and the Lasso of Truth on her hip. Limited to 5,000 pieces. Individually numbered. Statue measures 39 cm tall. Based on the art of Jenny Frison; Sculpted by Jack Mathew.